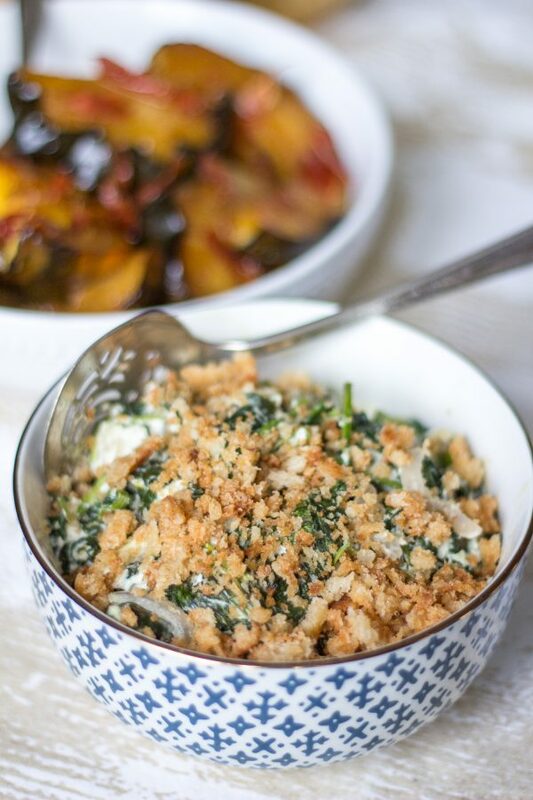 Easy Creamy Spinach takes just 15 minutes to prepare on the stovetop, and the crispy breadcrumbs give it an oven baked taste. 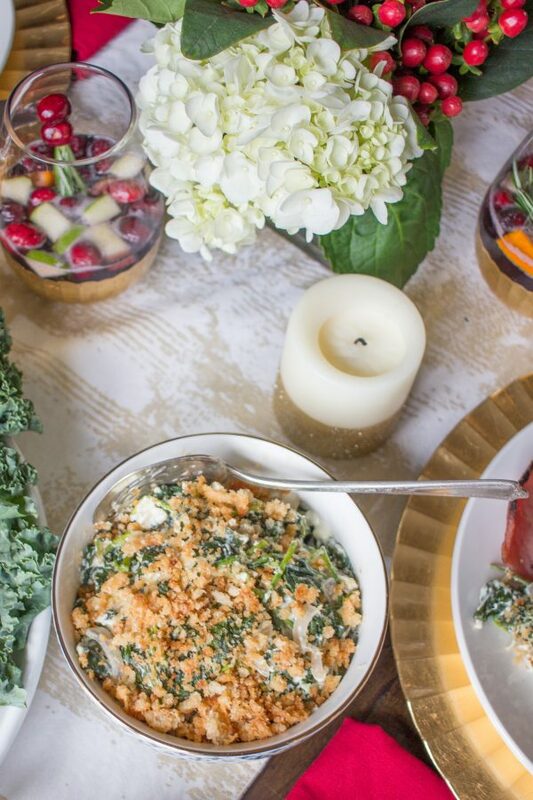 This easy Creamy Spinach recipe is perfect for the holidays! 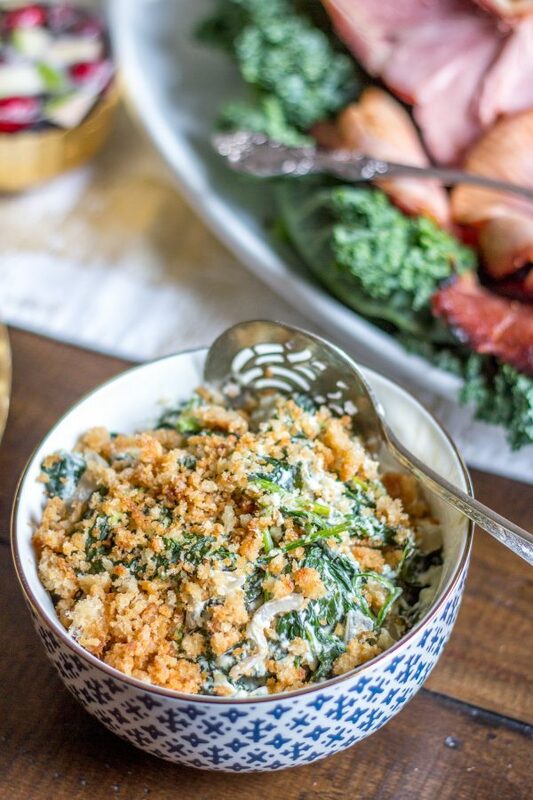 Spinach is cooked with garlic and shallots in a creamy cheesy sauce and topped with a crispy crunchy parmesan panko topping. 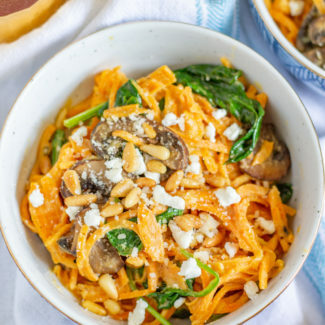 I love this recipe because it is made on the stovetop and takes only about 15 minutes to prepare from start to finish! To make this veggie side dish, first you toast some panko breadcrumbs in melted butter and throw in a touch of parmesan at the end. Then to prepare the spinach, you sauté a couple cloves of garlic with a sliced shallot. Once the garlic is fragrant and the shallots are translucent, you add the spinach. When the spinach wilts, you add some cream cheese and parmesan. After the cheese is all melty and the spinach is cooked, you just put the spinach in a serving bowl and add the panko parmesan topping. It’s so quick and easy. If you have cooked raw spinach before, you know that it cooks down a lot. One pounds of spinach cooks down to be just 1 ½ cups of spinach. 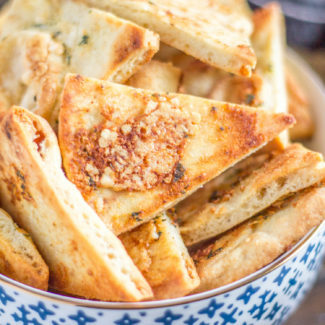 This recipe is just enough to serve four people, so you might want to double or triple it. I highly recommend starting with fresh spinach. 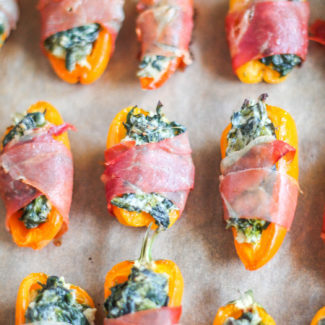 Frozen spinach has too much moisture for this recipe to be successful. You can prepare the parmesan panko topping in advance, but I do recommend preparing the spinach just before serving it. I don’t think that spinach reheats too well. Charles loves this spinach and I make it frequently. If I am just making a quick weeknight meal, I skip the panko breadcrumb topping so that this veggie side dish is a touch healthier. The toasted breadcrumbs really do make this spinach so much better though. 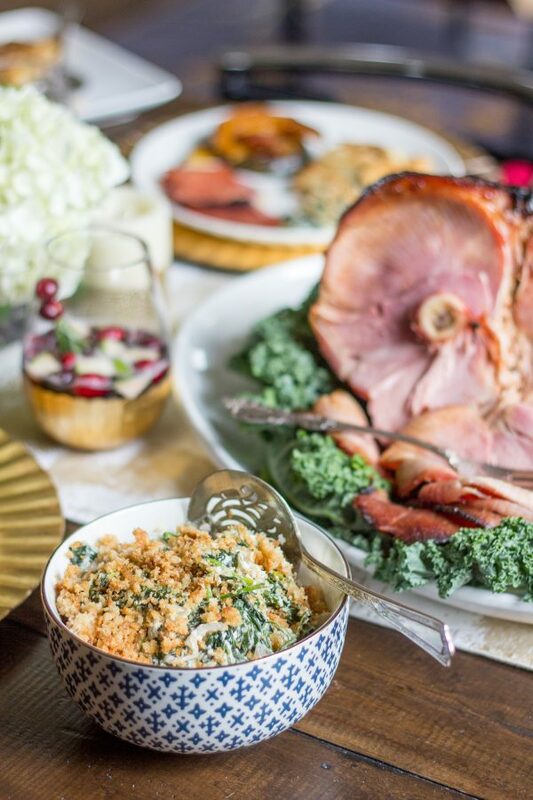 For the holidays, I like to serve this creamy spinach along side my Honey Glazed Ham. 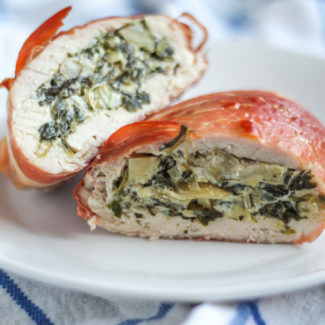 It’s a wonderful flavor combination that is formal enough for a Christmas dinner. First, prepare the panko breadcrumb topping. Melt the butter in a small skillet over medium low heat, and then add the panko breadcrumbs. Stir occasionally as the breadcrumbs reach a golden color. Then sprinkle a tablespoon of Parmesan over the breadcrumbs and stir. It is important to sprinkle the Parmesan and not to dump it in, this prevents the cheese from clumping up as it melts. 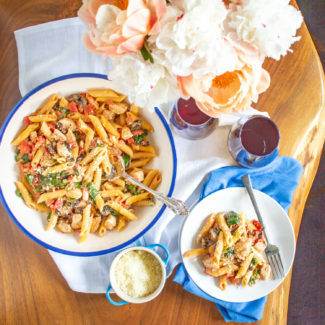 Stir the Parmesan in, and then pour the toasted breadcrumbs into a bowl and set aside. Next, prepare the spinach. Thinly slice the shallot and finely chop the garlic. Heat the olive oil in a skillet over medium heat. Add the garlic and shallot and cook until the shallot is translucent. Add the spinach a handful at a time, letting it wilt before you add more. This way you won't overcrowd the pan. 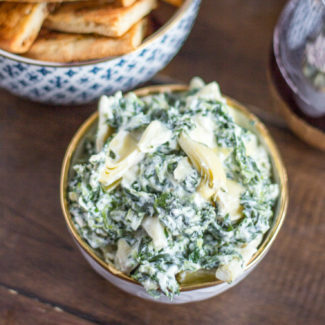 Once you have added all of the spinach, add the cream cheese and another tablespoon of Parmesan. Stir until the cheese has melted. Season the spinach with salt and pepper to taste. 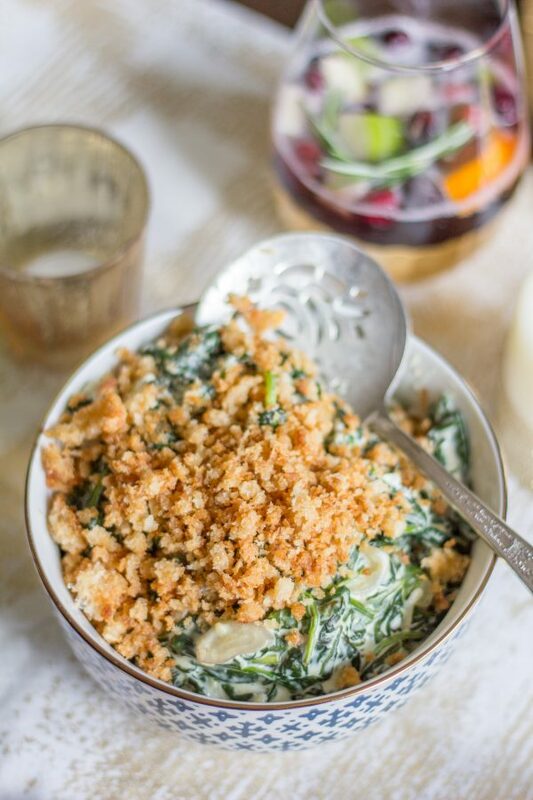 Pour the spinach into a bowl, and serve topped with the toasted breadcrumbs.